We accept both Online and Offline orders. To place an order online please navigate to the Shop Now category in the top navigation. To place an order offline please download our order forms. Instructions on submitting offline orders are included on the order forms. All Orders for "Stock Products" will ship out within 10 Business Days. If your Order contains a "Special Order Product" your Order Handling time will be 40 Business Days. Shipping Rates are based on Order Subtotal. Please see our Shipping & Handling page for rates. To check the status of your order please use our Order Status page. To cancel your order please call: (800) 352-6162 or email us at [email protected]. All Special Order items, including those advertised as having a 4-6 week production time or any item that has been personalized, cannot be returned. 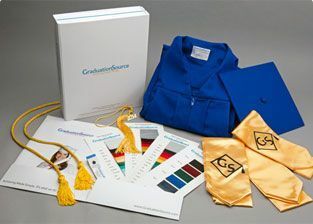 This includes, but is not limited to, Custom Gowns, Custom Stoles, Diplomas, and Diploma Covers. Returns that pass inspection will be cleared for a credit memo. The credit will appear on your account within 30 days of passing inspection and carry a 15% re-stocking fee. Can I return my custom product? Please contact [email protected] for for all Media inquiries. 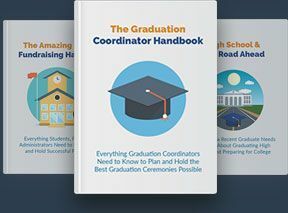 How do I apply for a job at GraduationSource? Visit the Careers Section of our website to see our current opportunities. GraduationSource is always looking for talented individuals to join our team. Send us your resume today even if you don't see an opportunity posted that is a direct fit and we will be in touch when relevant opportunities come up.